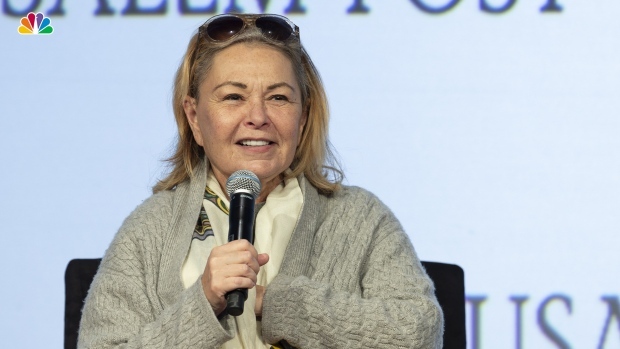 Speaking on the first episode of her friend Rabbi Shmuley Boteach's podcast, released on Saturday night, she apologized again for her controversial tweet that led to scores of public backlash and the cancellation of her show, "Roseanne"
In this Jan. 8, 2018, file photo, Roseanne Barr participates in the "Roseanne" panel during the Disney/ABC Television Critics Association Winter Press Tour in Pasadena, Calif. ABC canceled its hit reboot of "Roseanne" on Tuesday, May 29, 2018, following star Roseanne Barr's racist tweet that referred to former Obama adviser Valerie Jarrett as a product of the Muslim Brotherhood and the "Planet of the Apes." 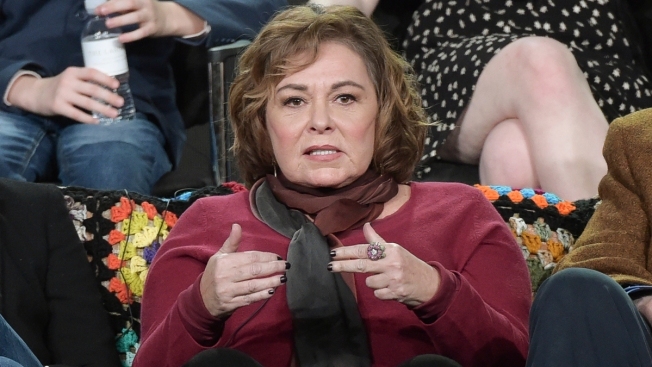 Roseanne Barr broke down in tears while giving her first interview about the incendiary tweet she posted that spurred scores of people to call her a racist and ABC to cancel her rebooted show. Speaking on the first episode of her friend Rabbi Shmuley Boteach's podcast, released on Saturday night, the 65-year-old actress and comedian apologized again for her words. 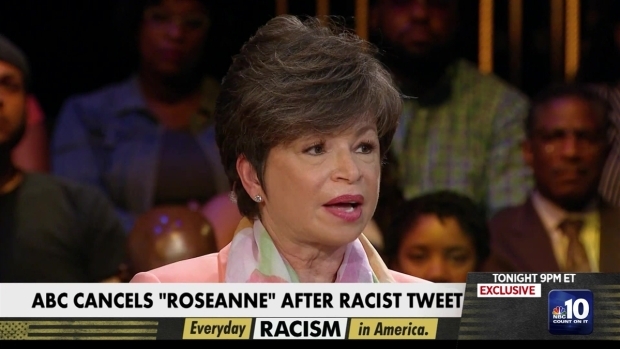 In her tweet, she had said that black, Iranian-born former President Barack Obama administration adviser Valerie Jarrett was like if "Muslim Brotherhood & Planet of the Apes had a baby." Barr later apologized and said she had been "Ambien tweeting," adding she was "not a racist, just an idiot who made a bad joke." She echoed her comments on Boteach's podcast, saying, "Of course I am not a racist, I'm an idiot, and I might have done something that comes across as a bigoted and ignorant and I know that that's how it came across. I ask for forgiveness because I do love all people, I really do." Barr had deleted her controversial tweet soon before ABC canceled "Roseanne" and said on Twitter that she thought Jarrett was "Saudi." Barr has always been outspoken about politics on Twitter. She said ABC warned her before she signed on to join the "Roseanne" reboot that she would "shoot herself in the foot" if she continued tweeting and that her kids told her she had to stop as well. She said she agreed to, with the exception of posting tweets that defend Jews and Israel. Barr said she felt that some Obama administration's policies were "anti-Jew." "Sometimes you just say the wrong words," she said. "And I should've known better. I should've not done it. I wish the hell I wouldn't have done it and I should have been better and I wasn't and I caused a lot of pain and I know that and that's the worst feeling in the world--I caused pain for my family, I caused pain for my mother, I caused pain for the 200...actors that I love, and crew and writers. I feel so bad that they gave me another chance and I blew it." Meanwhile, the world of "Roseanne" will live on. Last week, ABC announced a spinoff, "The Connors", which will not feature Barr, who the network said will also have no financial or creative involvement. Original Post: Roseanne Barr Sobs on Podcast Over Tweet That Got Her Fired: "I'm Not a Racist, I'm an Idiot"